If you need a tenacious defense attorney in Spokane, Washington, schedule a consultation at Hormel Law Office LLC. 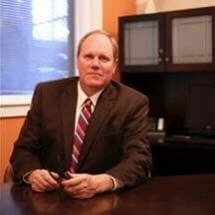 For 25 years, attorney Steve Hormel has dedicated his career to defending people accused of serious felony offenses in federal and state courts. Steve Hormel's experience includes over 7 years of service as the Chief Trial Counsel at the Federal Defenders of Eastern Washington and Idaho, defending and litigating trials for clients charged with the most serious and complex federal felonies. When experience matters, call Hormel Law. Our Goal: Hormel Law gives the individual attention required to represent the clients' legal needs with the highest degree of skill, hard work and experience. It is our pledge that you will receive the personal attention needed to address your legal circumstances. Facing the criminal justice system alone can be an intimidating experience. Depending on your charge, you could suffer serious consequences upon a felony conviction. These consequences can include prison, fines, restitution and a loss of civil rights. Law enforcement and the prosecutors will likely devote countless hours to building a case against you. You need the same level of determination and diligence working to protect your future. When you need an experienced criminal defense lawyer, look no further than Hormel Law. Armed with experience and detailed knowledge of the intricacies of state and federal criminal defense, Hormel Law is a trusted legal resource throughout Washington. We will provide the legal guidance and dedication you need no matter the complexity of your case.